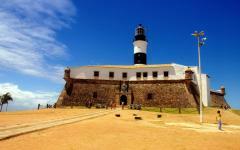 Eight days enjoying the culture in Salvador and a well-being spa in Praia do Forte. The key-words for this trip are: fun, culture, history, relaxation, nature and well-being. 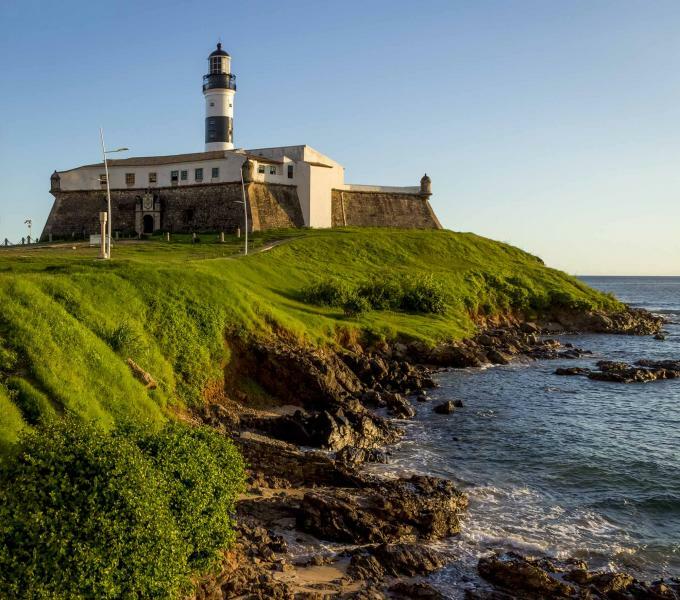 HIGHLIGHTS: historical town, original architecture, social realities, schooner at "All Saints Bay", good food, beaches, resort at Praia do Forte, SPA atmosphere, fauna protection project, nature and culture. 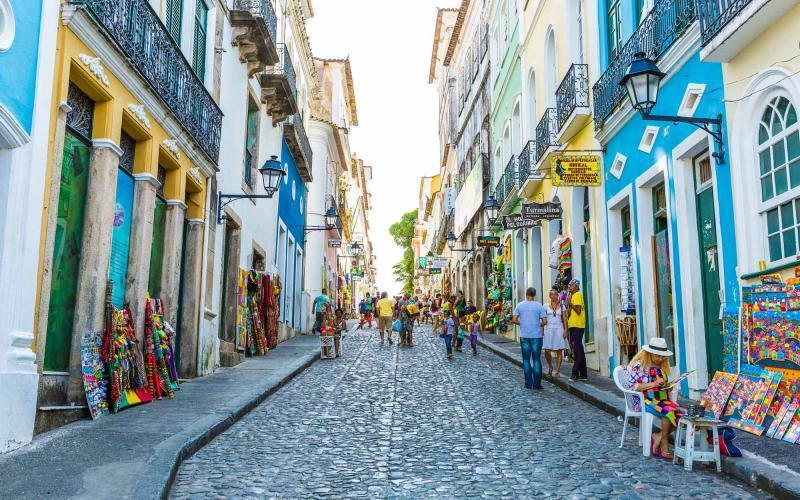 Famous for its history, the religious syncretism, the cultural mix, and its friendly people, Salvador was the first capital of Brazil. 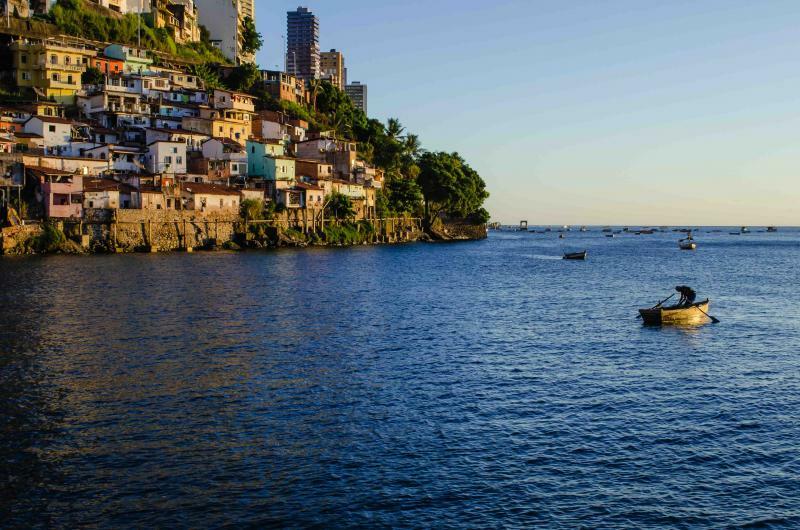 Nowadays, Salvador is the capital of the State of Bahia and the third most populous city in the country, bringing together the present and the past in perfect harmony. Basically, the city is divided in two: the Upper and the Lower parts. 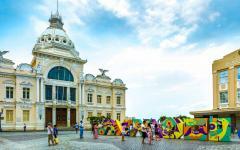 Both parts have interesting attractions and catch the attention of Brazilian and tourists from all over the world. Always in an environmental and social concern, the Praia do Forte Eco Resort tries to work with a sustainable system: preserving the nature and its resources, involving the local community – as a social insertion, and respecting their culture. The resort counts with excellent infrastructure and well trained staff. It provides direct contact with nature, where you can observe a lot of species of birds and small wildlife, as well as the lush tropical flora. Besides that, there are more than thirty different activities for adults, youth, and children. Salvador City: the capital of Bahia. 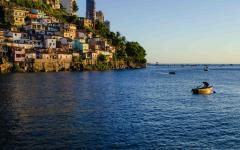 It is situated South of the Northeast region – approximately, 1670km from Rio de Janeiro. And Praia do Forte Eco Resort., only an hour drive from Salvador City. The Praia do Forte Eco Resort is located in an environmental protection area with a 12-kilometer nearly deserted beach, surrounded by a lush coconut palm plantation, and with a pleasant tropical climate. 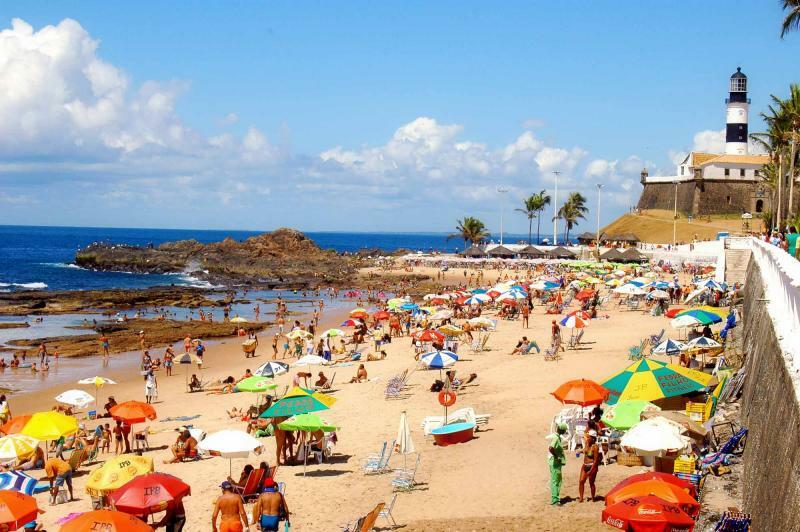 Average annual temperature is 28° C.
Arrival in Salvador. Private transfer with guide to the Pousada Red Fish. Check-in and free time to enjoy the city. 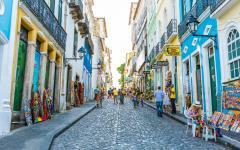 You will be picked-up from the Pousada Red Fish at 9:00 am and taken to a 7-hour private city tour including lunch. 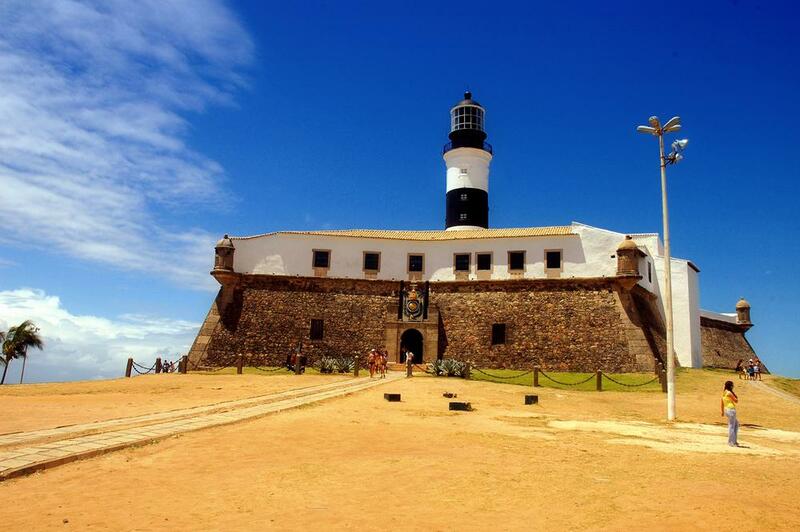 This city tour will give you a good insight about the city of Salvador and its rich history and culture. 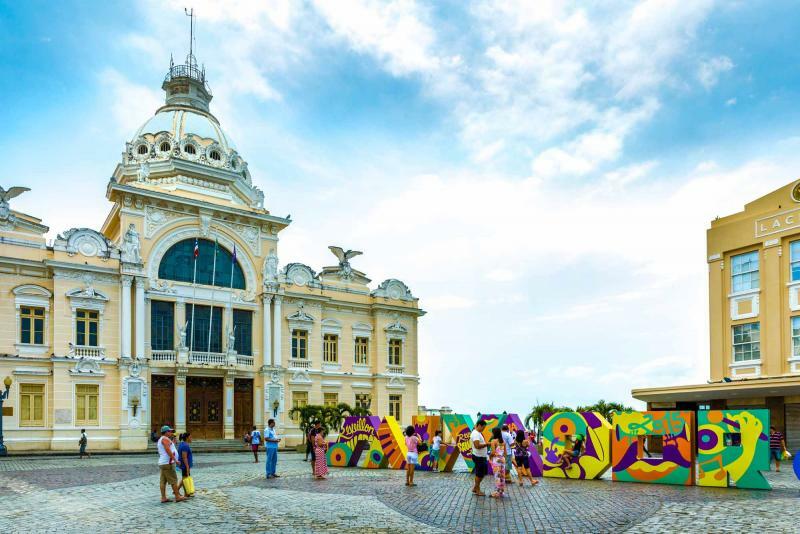 You will visit the best tourist’s spots of the city, such as the Pelourinho, the famous Lacerda Elevator, the Bonfim church and have a panoramic view of Salvador’s main city area. You will be picked-up from your hotel at 8:00 am for an 8-hour schooner tour with lunch. You will spend the whole day sailing on the calm waters of the All Saints Bay (Baia de Todos os Santos). Stop for a swim and spend time sunbathing at the Ilha dos Frades. Lunch at the Itaparica Island. Drinks are for sale on the boat. Private transfer with guide from the Pousada Red Fish to the Praia do Forte Eco Resort located at Praia do Forte. 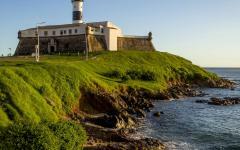 Private transfer with guide from the Praia do Forte Eco Resort to the International Airport of Salvador. Flight back to home country. "...the best trip we have ever taken..."
"I had a great trip and will remember this trip forever."